Read all my great customer reviews. 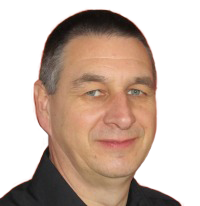 "I chose Garry Needham driving tuition because of all his great reviews"
Rated 5 Stars on Freeindex.co.uk and Google My Business. Are you Looking for Driving lessons in Loughborough? 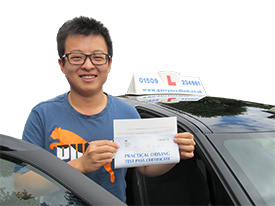 whether you have just turned 17 and looking for your first driving lessons in Loughborough or already have some previous driving experience, I can help steer you towards successfully passing your driving test. Read over 90 customer reviews on Freeindex.co.uk then give me a call on 01509 234961 and start your driving lessons in Loughborough. You will benefit from fully structured driving lessons, generous block booking discounts and friendly professional driving tuition from a fully qualified, DVSA registered approved driving instructor with over 16 years experience. You will also benefit from my very impressive pass rate but don't just take my word for it, read all my local customer reviews then call us on 01509 234961 to book your driving lessons. An excellent instructor who was always punctual, patient and helpful. I would 100% recommend Garry to anyone thinking of learning to drive. This compares to our standard hourly rate of £30.00 per hour. The offer is for beginners only with no previous driving experience. Lesson must be taken as 1 x 2 hour driving lesson.